Victorian Trade Card for The Great Atlantic and Pacific Tea Company. 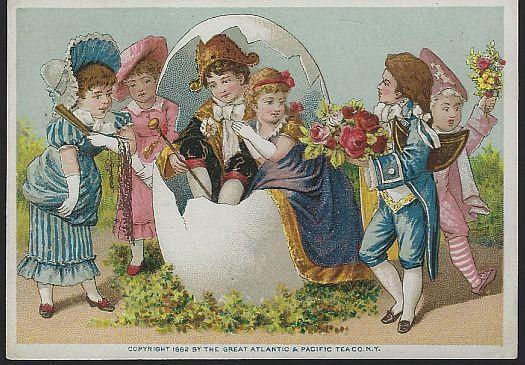 On the Front of the card are a Boy and Girl in a an Egg with Admirers. 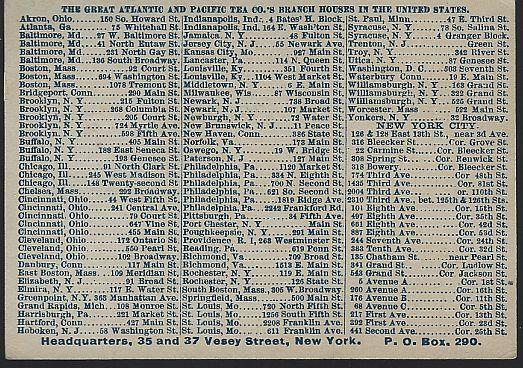 Back of card has branch locations. Card is in good condition, wear at edges. Card is 4 1/2" across and 3" high.